When using an old fashioned time clock, most companies record the time in hours and minutes. Which makes sense. That is, until you try adding a column of time on the time card. Right? 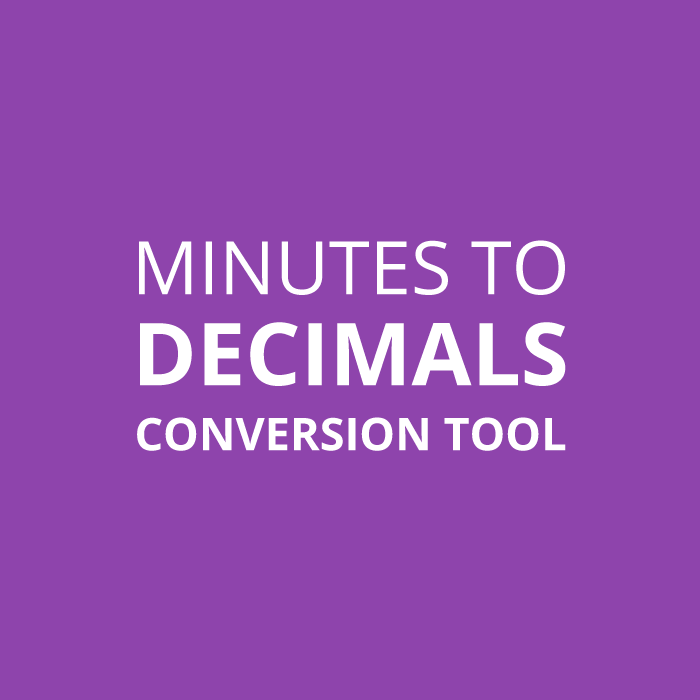 Converting time to hundredths allows you add time as decimals -- making the process much easier. Keep in mind though, hundredths are not always exact. For example .50 hundredths is exactly 30 minutes. However .48 hundredths is not exactly 29 minutes. It's rounded from 0.48333333.